Nurses are increasingly using professional portfolios as a way to maintain evidence of their learning and reflection, and to demonstrate that they have met their professional requirements. A portfolio can assist nurses to store and manage their revalidation or re-registration documents in one place, so that these can be easily updated and produced when required, for example in performance reviews and job applications. 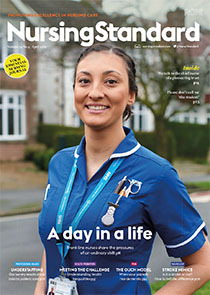 All nurses are required to undertake continuing professional development (CPD) activities to maintain, update and improve their knowledge and practice, and they can use their portfolio to document these activities. Creating and maintaining a portfolio can also enable nurses to identify their strengths and learning needs, and to develop a learning plan to address these needs.